New York City may have an ever-revolving cast of hottest restaurants, hippest clubs, and even most desirable neighborhoods, but some real estate titans never go out of style in this metropolis. 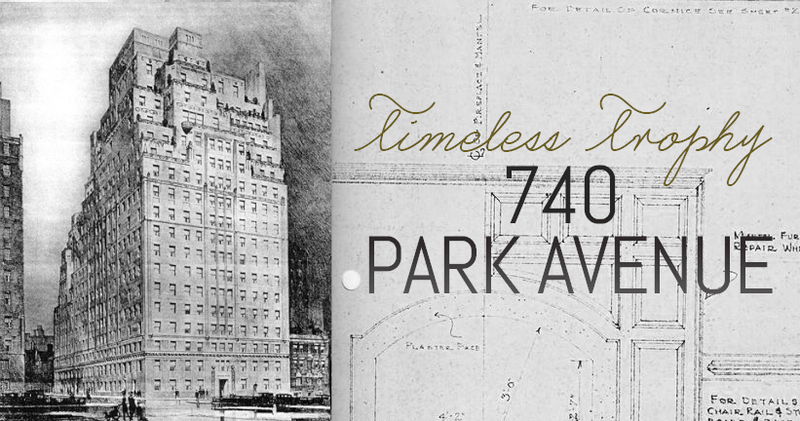 Known as the “Tower of Power,” 740 Park Avenue is one such mainstay. The Upper East Side 19-story, Art Deco building was completed in 1930 to the designs of Rosario Candela, often considered the finest architect of luxury apartment interiors, as the last of the grand dames erected along Manhattan’s Gold Coast. It didn’t reach its peak until the real estate boom of the 1980s, but is today one of the most sought-after addresses with 31 apartments, mostly all duplexes, triplexes, and penthouses. The massively scaled residences feature grand living rooms, formal dining rooms, spiral staircases, high ceilings, expansive foyers, and an abundance of windows. 740 Park was nicknamed “the Standard Oil building” in its early days, as John D. Rockefeller (who owned a 20,000-square-foot, 37-room apartment) Mildred Bedford Vanderbilt, and several other oil-rich owners called the residence home. Today, it is home to more billionaires than any other building in the world, though these high rollers made their fortunes in hedge funds and finance. Such big-earning residents include Stephen Schwarzman, founder of the Blackstone Group, who purchased Rockefeller’s former apartment; disgraced former Merrill Lynch CEO John Thain; and Israel “Izzy” Englander, the founder of hedge fund firm Millennium Management, who recently set a record for most-expensive co-op sale, dropping $71 million for a lower-floor duplex to serve as a pied-a-terre for his children and grandchildren. 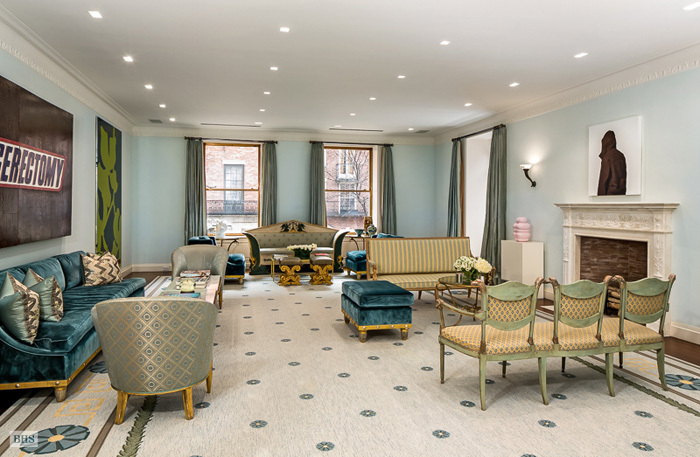 Socialites and other industry leaders have also resided in 740 Park Avenue, including Estee Lauder CEO Ronald Lauder and fashion designer Vera Wang. Interestingly, the building still maintains a connection to the oil and gas industry; industrialist and conservative activist David H. Koch bought an 18-room duplex for $17 million in 2003. But don’t think that just because you’ve appeared on Page Six, you’re automatically guaranteed entry. 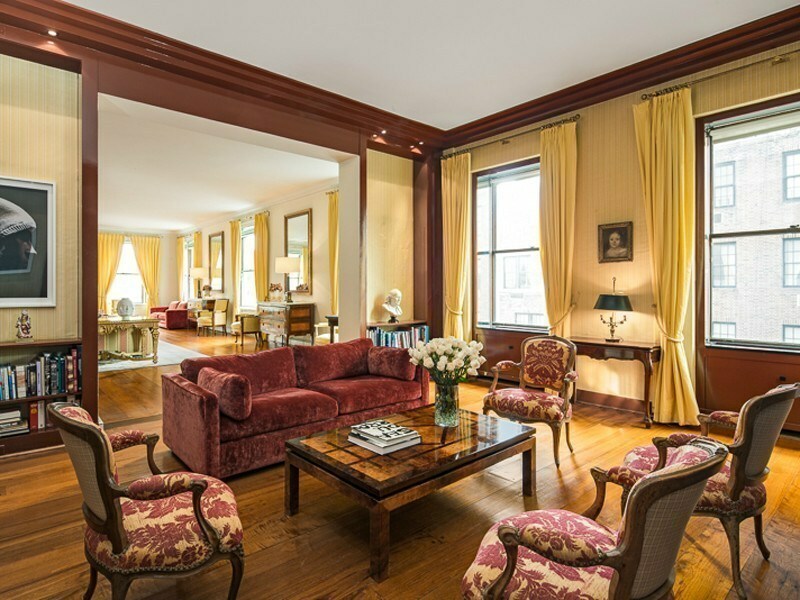 740 Park’s co-op Board has rejected many well-known prospective buyers, such as Joan Crawford, Barbra Streisand, Barbara Walters, and Neil Sedaka. And if you’re thinking of living among the city’s elite, be aware that resident hopefuls must show liquid assets of at least $100 million. If 740 Park is ringing a bell, it may be because you read Michael Gross’ 2005 tell-all about the history of the building and its illustrious residents. Several years later, documentary filmmaker Alex Gibney spotlighted the residence in his film “Park Avenue: Money, Power & the American Dream,” which examines income inequality through the lens of the storied address. 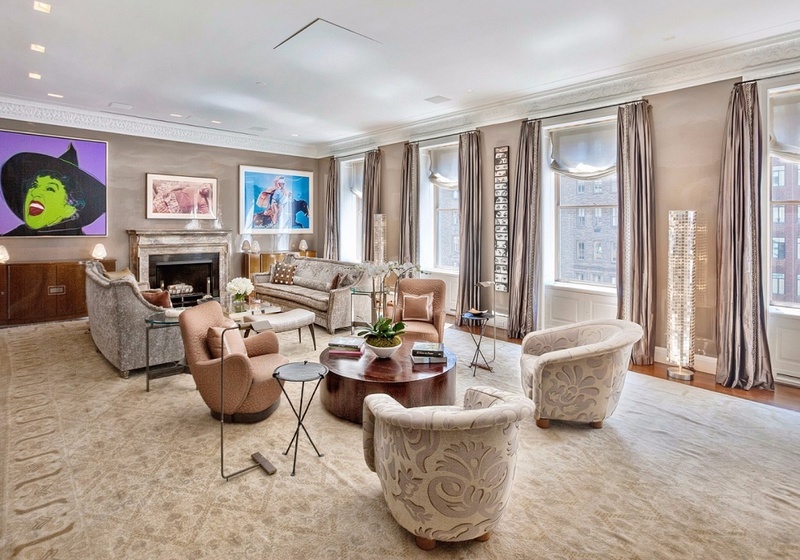 740 Park Avenue boasts two of the highest co-op sales in the city’s history: last month’s record-setting $71 million purchase, as well as the $52.5 million sale of a six-bedroom in 2012. Of the buildings with units in the top-10 co-op sales, 740 is the only to have two sales. There are currently two available residential listings at the building. Unit 6/7A is listed for a whopping $44 million. Jackie O’s childhood home, it is a 14-room, four-bedroom duplex. On the market for $29.5 million, apartment 23D is a 16-room, five bedroom duplex that was recently renovated by acclaimed architect Alan Wanzenberg.